Season five is a season that lost its way so badly the creator of the series slated some of the writers on it. A season inspired in ideas, but so uninspired in execution that I even forgot to update this "season ranking" last year. It's called "losing interest", something many viewers did throughout the 2017 run. 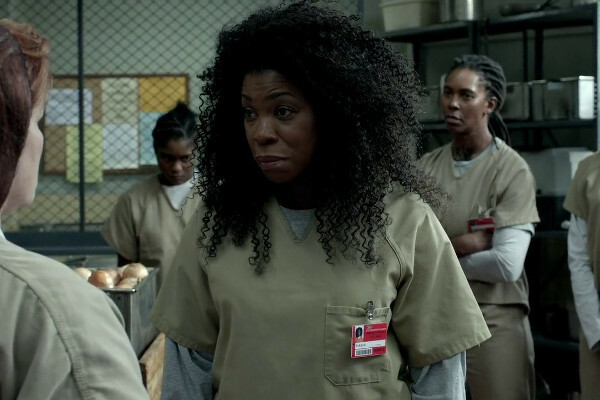 Those who gave up would have missed out on the latter half of the season, which is where the best episodes came, and if season five easily wins the title of "Orange Is The New Black's worst season", it's not without its plus points. It lacks the sharpness and cleverness of earlier ventures, and the "13 episodes set over three days" concept is sadly squandered by silliness and cartoonesque characterisation, but there's still quality to be found here, even if you have to work harder to find it than before. Season six isn't a "return to form" - any series that's been on the air for six years is unlikely to achieve that aim. But it is one of the better post-prime seasons, helped by a strong plot that ultimately goes nowhere, but does anchor the episodes to something more tangible. Though it is a distraction that we finally get to see the much-hyped "Max" prison, and it contains convicts and guards that have far less menace than many of the regulars. Some earlier seasons, the first particularly, were more freeform and less "arc" driven, but after much deviation from the original set up, it's a good idea to keep the entire thing anchored. This is a season that notably jumps several months over the course of its run, the opposite of the condensed season five... and a decision that brings events closer to the present day. Season three certainly had its moments, not least the grandstanding sexuality of Ruby Rose, or the ascension to sympathetic characters for Pennsatucky and Big Boo. But there's a feeling that many characters are becoming written to order and some scenarios are a little too silly. In a meandering season that lacks real focus, the ludicrous "cult of Norma" plotline is dragged out for far longer than it has any right to be, a B-Plot given A-Plot status. Much of the season is like that, with trivial plots that would have once been there to pad out an episode, elevated to season arcs. It's certainly understandable that the series tried to scale back on the drama so as not to follow season two's darker themes, and a rewatch shows it to hold up better than expected, rising a place in this ranking. It's just that, after two very strong years on air, the third season came to Netflix with high expectations. 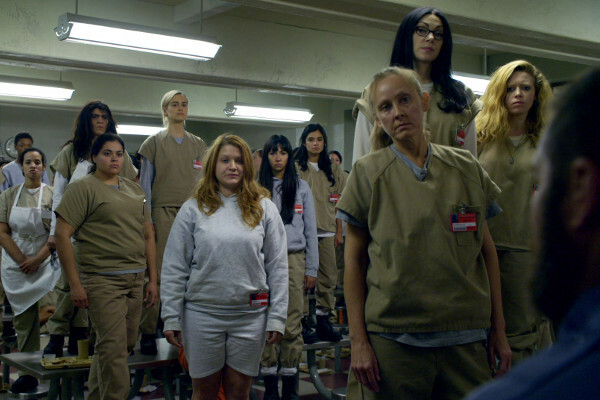 Other seasons of Orange is the New Black may have been worse, but few have been so disappointing. At some point I'll probably revisit all of the series here at The Anorak Zone and be able to really assess just how well season four stands up against the first two. There's the feeling that they were stronger because the show was still fresh, but season four managed to shake things up and keep them interesting. There's probably just a hair's breadth between the top three here, with season four a return to form. The darkest season, and most difficult to watch. The various plot strands are tied together with the arrival of the series' brutal sociopathic "villain", Vee, and the way former friends physically attack one another can be painful viewing. And although essentially "the Vee show" for the year, it adds surprising depths to its cast of supporting characters via the flashbacks, including Lorna and Suzanne. It's not without its flaws – some elements can be illogically contrived (they trade bathrooms on race when we've seen them share bathrooms from the start? Would Big Boo really turn on her friends?) and the central character is pushed out of the main narrative for the duration. But it's one that adds real drama to proceedings, and ultimately reflects on the nature of karmic balance in the universe. The ending is one of the most touching and satisfying in the programme, justifying the feature-length finale. Wisely, the series hasn't attempted to "top" this one, and drawn back... if such violence escalated each year, it would leave the programme with nowhere to go. Finally, long-term readers of this site might recall that this season used to take top honours in this ranking. While it's close, a rewatch of both first seasons showed this one to be lacking some of the power it had on first viewing, along with some contrived plotting that didn't flow as easily as the more likeable, amiable season one. But, it was a great follow-up season overall, and, as said, it's close. 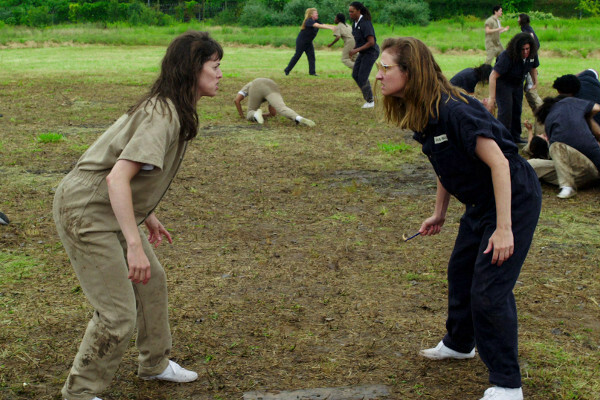 The most consistent and genuinely funniest season, this is where we first meet all of the Litchfield Penitentiary inmates. Being the introductory season, it naturally focusses more on central character Piper Chapman, telling the story of the breakdown of her marriage and her destructive relationship with lover Alex Vause. And although the other characters are essentially support at this stage, we still get to share their often-heartbreaking stories, such as the doomed arc of Miss Claudette, or a suicide in the prison. 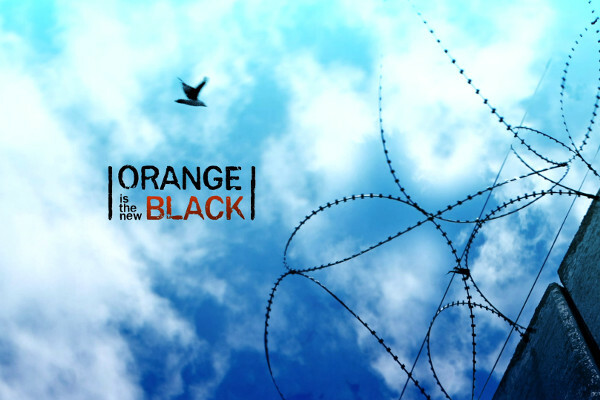 There's an almost cinematic intent to a lot of Orange Is The New Black's episodes, with instalments fading out to various soundtrack choices. A stylish touch is having the season push Chapman over the edge and into true criminality, savagely beating a fellow inmate while Christmas carols play the credits out.